Last month, Apple dropped the price on all of its USB-C adapters and accessories by $6 to $20 until December 31. Today, it has extended that discount until March 31, 2017 for many of the products. The discounts may please customers who have been dissatisfied with the high price of the MacBook Pro, coupled with the need to buy a wide range of adapters to use the new notebook with older peripherals. Apple similarly extended its discount on the now-available LG UltraFine 5K Display until March 31. How a bout a friggin MagSafe adapter? It's very nice of them. No one (not Microsoft, not Dell, not HP, not Compaq) offered adaptors or cables at any type of discount when USB first rolled out in the late '90s. We all had to buy $40-60 adaptors to make printers, CD burners, and other peripheral work with our new machines. Stop lying. You didn't. I was heavily into the PC scene in the late 90s when USB came out. Your shiny new USB equipped PC came with USB, Parallel, and Serial ports for those peripherals. So you could use the old stuff and the new stuff. This is a great move. Early adopters are being asked to consider upgrading to a notebook that's $300+ more expensive than the model it replaces and on top of that, those same users need to purchase USB-C Docks, Dongles & Displays so they can do the work they did the previous day on a machine with arguably more diverse I/O (in the form of unique ports for HDMI, DVI, USB, SD, etc). Decreasing the pain a bit but dropping prices on essential accessories is a great move. Eventually, the 3PP makers will release USB-C accessories that are reliable and lower cost than Apple's but for now, this should help anyone in the market for a new MacBook Pro bite the bullet w/o the added pain of spending an extra grand on things that work with the new computer. This transition is a painful one for people who need a new laptop right now but Apple seems to be considerate of that. They don't have to offer discounts. In fact, they rarely discount their accessories. Of course they did. It'll probably be extended again in March. I'm surprised they have announced a permanent reduction. This is pretty generous from Apple, though I suspect they still make a profit on it but still....they choose to lower the price. They're willing to be the first mover on new tech and willing to take a hit for it while other companies are just sitting on old tech and wait until it's safe. Actually, that's a good idea. It could be the most useful adapter. On the one hand, it'd be very useful. On the other hand, it would be the most non-standard USB-C charger to ever exist. From the get-go, USB-PD (Power Delivery) rules have specified a bunch of voltages that would always have to be supplied. That's because they have to be able to power everything from small phones via tablets up to 100W for very powerful laptops. MagSafe only outputs two voltages: 17V (for the MBA) or 19V (for the MBP). So either you'd have to make a very non-standard adapter, or you'd have to make an adapter that is basically a mini power supply itself. 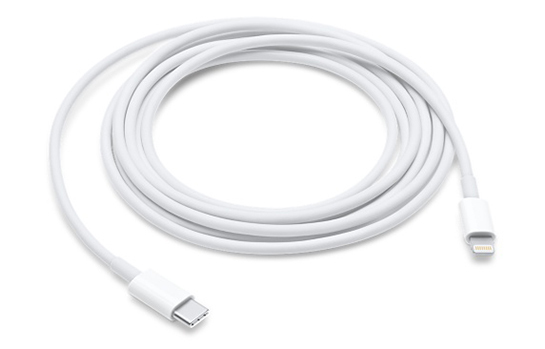 Since the USB-C ecosystem is already a bit messy, I'm glad Apple didn't make it even more complicated with such a crazy adapter. But now I have about 5 MagSafe chargers, collected over the years, which I'll need to sell somehow.